Too lovely for this cruel world. Thank you for this, Alex. Organic, not sloppy. Nicely done. Lovely contrast between round bass and crisp guitar. This is excellent. Is all the sounds are from this dinky keyboard? 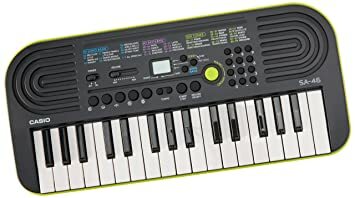 I like the green color scheme though, but I hate to just look at the chart with all the sounds and rhythms that Casio is known for YUCK. Like others have said, lovely, dreamy. I'm a big fan of cheap keyboard sounds! I have an old cheap yamaha keyboard with some great sounds on it. really nice! that casio looks fun! Great production, and a great song! I already am sleepy, and this song gives the perfect vibe to just stare out the window and look at the night sky. Also, I rewinded at least three times to hear that crushed swell at the end. It's rich! Great production, and a great song! I already am sleepy, and this song gives the perfect vibe to just stare out the window and look at the night sky. Also, I rewinded at least three times to hear that crushed swell at the end. It's rich! That sudden guitar was a nice touch.